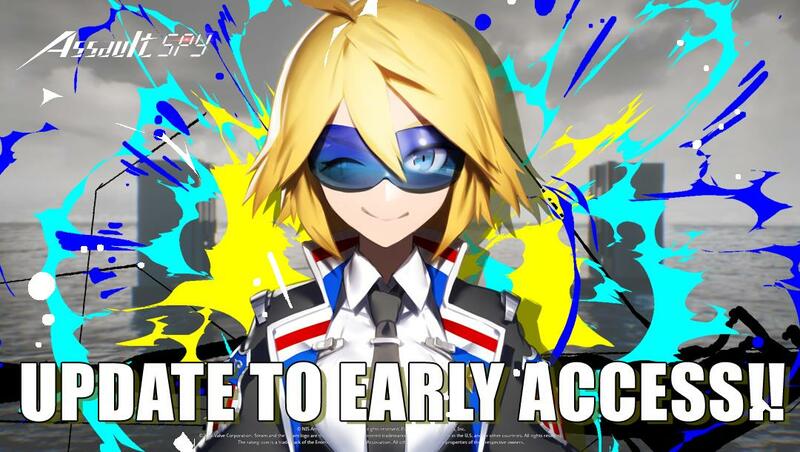 NIS America is excited to announce more updates to Assault Spy Early Access. They include a new playable character, a new mode, and a new feature. The press release also announced that in one week the game’s early access price will increase from $19.99 to $24.99. Furthermore, the game’s price at launch will be $29.99. Other regions will see similar price increases as well. Certain tough enemies and bosses now have a new Guard meter. Hitting such foes from the front enough times will break their gaurd, leaving them open to your dangerous combos. However, you only have a short time to get in some serious damage before their Guard meter will regenerate. The new Death March mode sees you fight your way through floor upon floor of foes, with an ever-dwindling timer hanging over your head! Each enemy you take down earns you some extra time. The amount of extra time you get goes up with your battle rank as well. This mode contains no check points, so if you run out of time its Game Over! In your next run, you’ll be starting from the beginning and trying to make it further than before.